As part of their FILMS WITH LIVE ORCHESTRA series the Royal Albert Hall yesterday revealed that James Cameron's Titanic continues to be king of the world - as composer James Horner's soundtrack for the Titanic is named the nation's favourite movie soundtrack of all time and the UK's Top 10 movie soundtracks of all time list, features music from Star Wars, Harry Potter and Jurassic Park. If you are a regular reader of The Establishing Shot you will know that this resonates with me as Titanic is one of my favourite films, made even more memorable as - a couple of years ago I was extremely fortunate to attend the world premiere of Titanic 3D at the Royal Albert Hall for a breathtaking evening, as not only is the Royal Albert Hall in full bloom always the most stunning setting for any event, but Titanic talent came along to present the restored 3D version of the film - but the highlight of the evening must have been Oscar-winning composer James Horner conducting the Titanic Suite accompanied by Norwegian opera star Sissel Kyrkjebo. Certainly a night to remember. 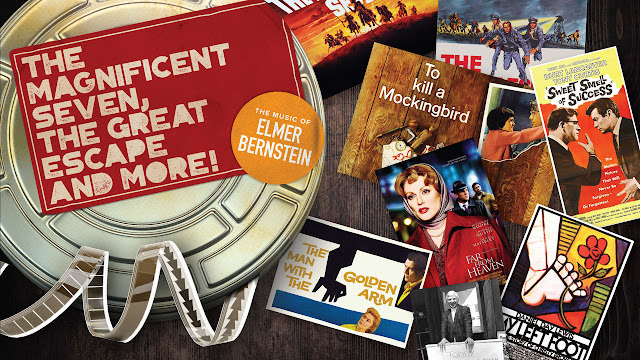 The best of Elmer Bernstein, The Magnificent Seven, The Great Escape And More! The best of Elmer Bernstein, The Magnificent Seven, The Great Escape And More! presented by John Landis on Sunday 18 June 2017. Few Hollywood films can match the heartbreaking climax of Titanic, where Kate Winslet tells Leonardo DiCaprio that she’ll “never let go” – and James Horner’s unforgettable music kicks in. That classic, Oscar-winning score has today been named Britain’s favourite movie soundtrack of all time. A poll, commissioned by the Royal Albert Hall as part of its celebration of Great Escape composer Elmer Bernstein, being staged in June, asked 2,000 respondents to choose their favourite film score. Titanic topped the charts beating out the likes of Chariots of Fire, Star Wars, Harry Potter and the Philosopher’s Stone and The Lord of the Rings, to scoop the top spot. The film got the full Royal Albert Hall treatment last night, with two sell-out, 20th anniversary-screenings in high-definition, featuring James Horner’s classic score played live and in full by the Royal Philharmonic Concert Orchestra. It received a record-equalling 11 Oscars in 1998, including gongs for Best Score and Best Song. In addition the survey asked the 2,000 respondents to reveal what music scores mean to them, and how important soundtracks are to films. 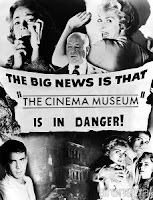 The research revealed that 20 per cent of Brits will tolerate a film they dislike, if they love the music. Equally, 59 per cent of the nation thinks a bad musical score can completely ruin a film. 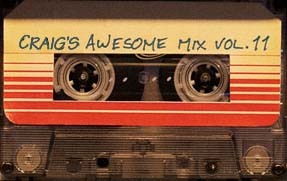 A third (33 per cent) of Brits agree that music is their favourite part of a film, with a dramatic score being the nation’s preferred style for almost half (46 per cent). Lucy Noble, Artistic Director at the Royal Albert Hall, said: “You never forget a great film score: from the epic to the intimate, movie music has an unparalleled ability to evoke emotion. We asked film fans to pick their favourite, and there’s no doubt about the winner: James Horner’s sumptuous, heartbreaking score for Titanic.